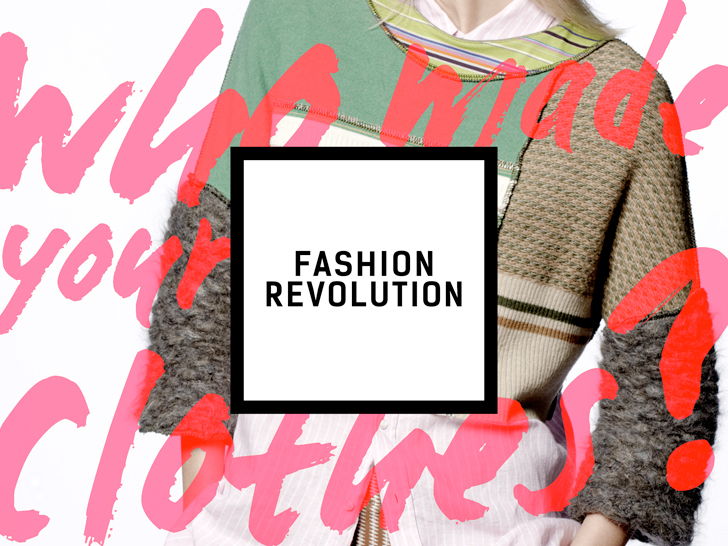 Ecouterre is an official media sponsor of Fashion Revolution Day. Ready to make a stand against poverty pay and deathtrap-like work conditions? Join your fellow revolutionaries in commemorating the one-year anniversary of the deadly Rana Plaza building collapse in Bangladesh at a Fashion Revolution Day event near you. Partnering with many different groups, businesses, and organizations around Chicago, DePaul University’s Fair Trade Committee will host a fashion show on Fashion Revolution Day, a day to mark the anniversary of the Rana Plaza collapse. This event is also in conjunction with a week of events surrounding Earth Week, highlighting the different aspects of socially and environmentally sustainable fashion. The event will end with a presentation on the purpose and importance ethical consumption. Urban Air Market and Fashion Revolution Day U.S.A. are joining forces to promote positive change in the fashion industry. This outdoor sustainable pop-up will connect attendees to local makers specializing in unique apparel, accessories, and home goods. In addition, attendees will be able to sample bites from local food vendors, enjoy live musical performances and sip the local wines and brews of the beer garden. EcoDivas Shorts & Sizzle Festival for Fashion Revolution Day L.A.
Taryn Hipwell of EcoDivas has partnered with Fashion Revolution Day U.S.A. for a Short & Sizzles (Film) Festival to remember the victims of the garment factory negligence to promote positive change and educate people about social and environmental practices in the fashion industry. Sumzine and Helpsy are starting a fashion revolution—with a little help from their friends Prince Language and Jenny Mortsell—in an event sponsored by Louie and Chan, Eileen Fisher, Loomstate, Freedom of Animals, Indego Africa, and Nettie Kent. Join us for cocktails to celebrate ethical fashion with Bhoomki Boutique on Fashion Revolution Day. 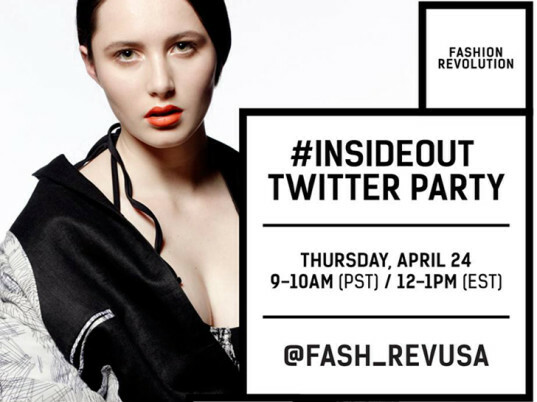 Use #INSIDEOUT to join the global discussion on Twitter. Visit the Guardian for a complete list of events occurring across Great Britain.